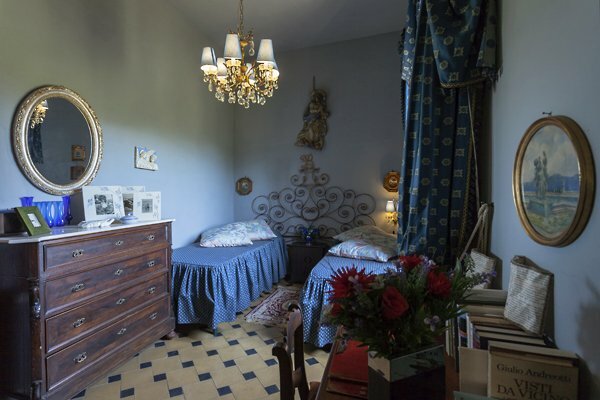 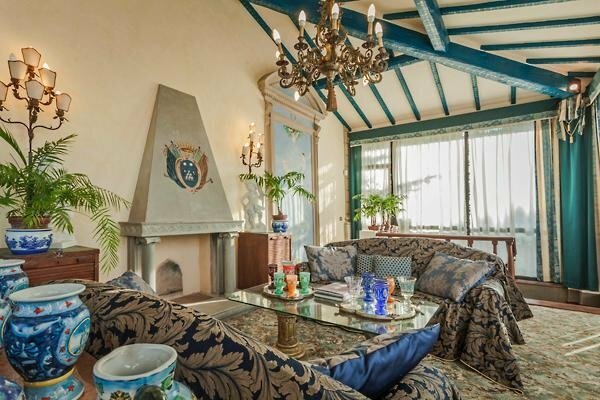 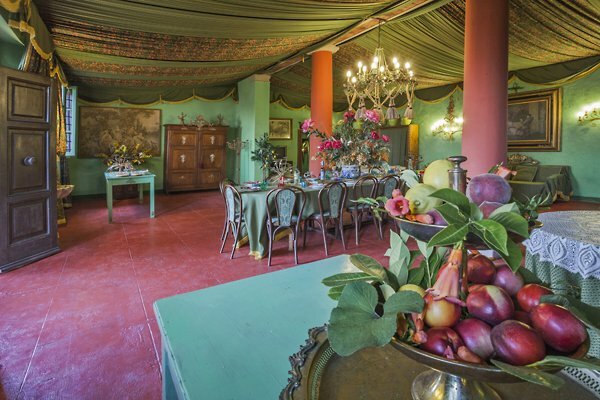 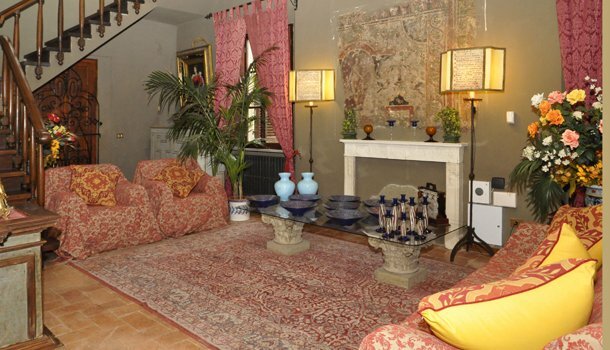 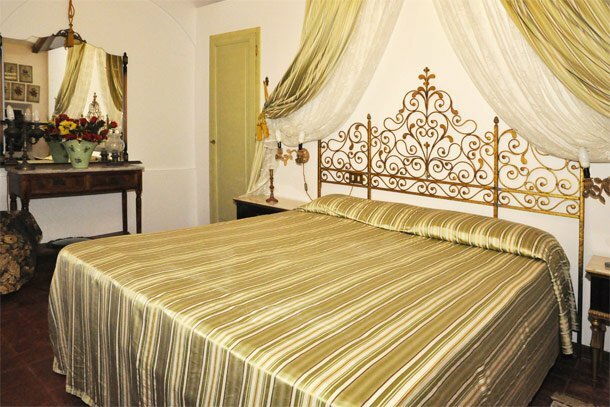 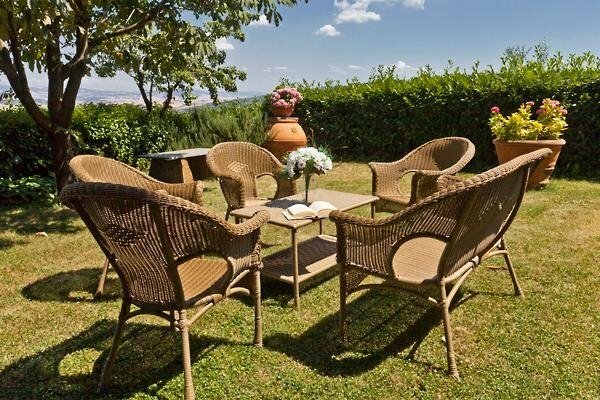 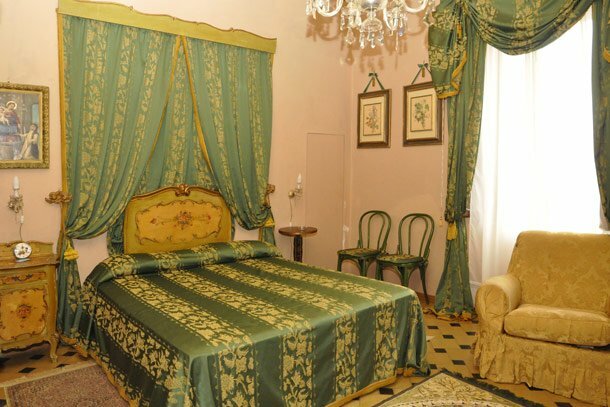 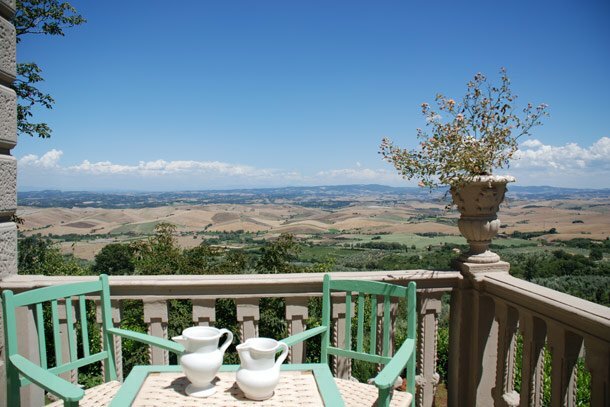 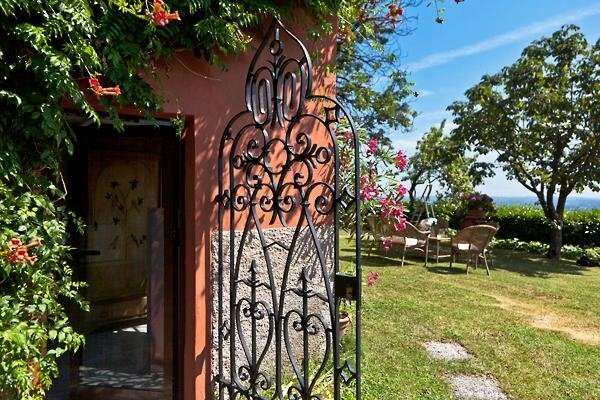 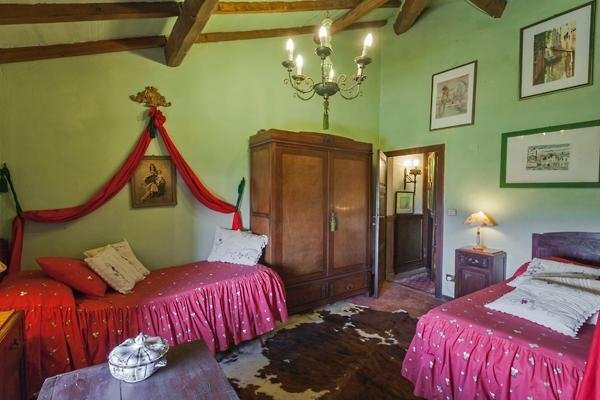 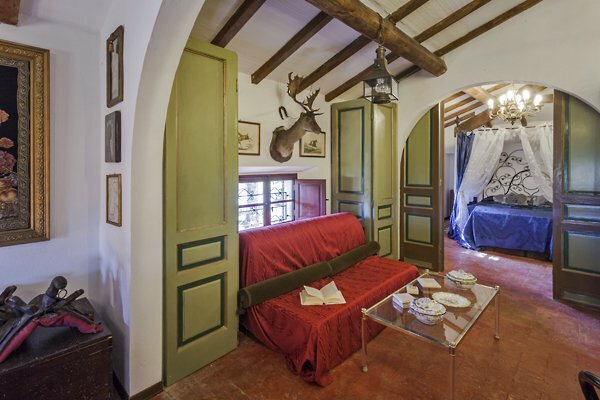 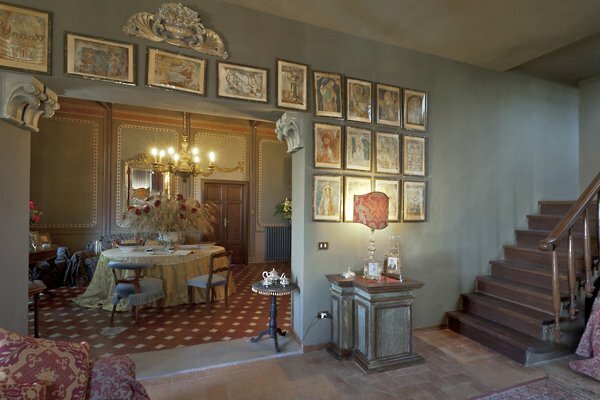 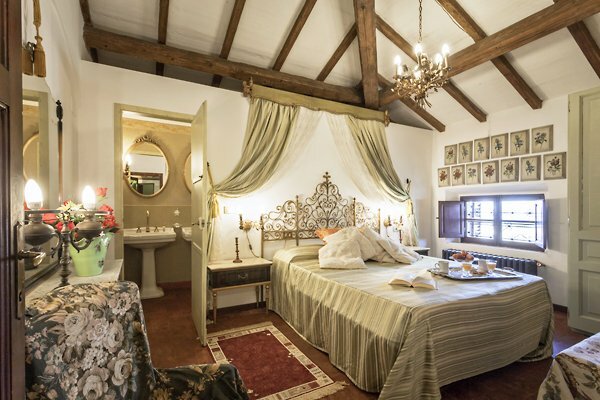 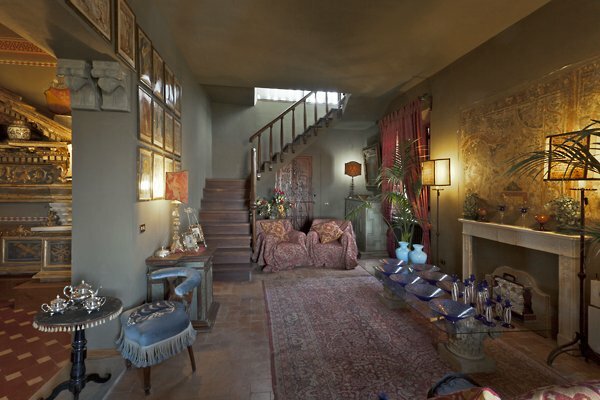 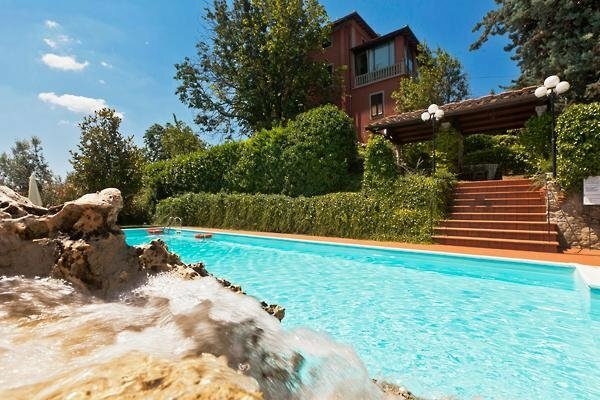 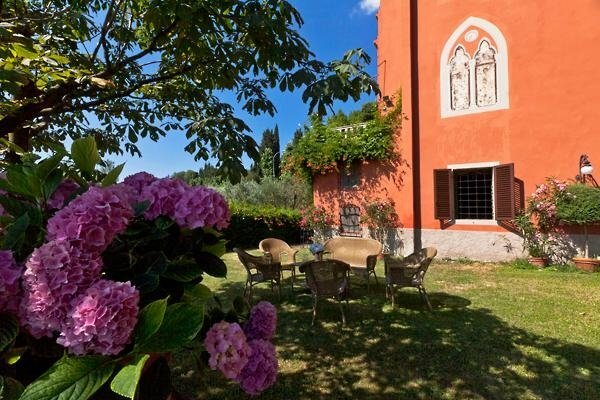 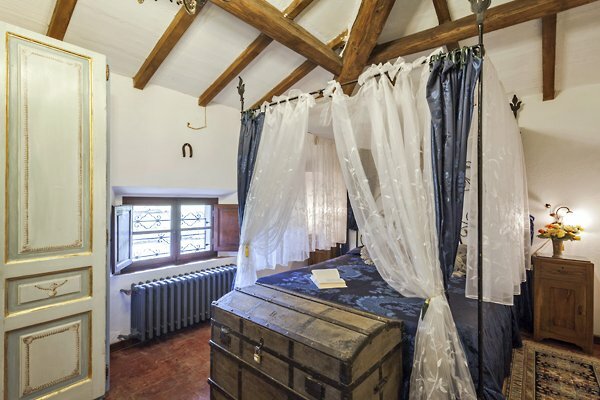 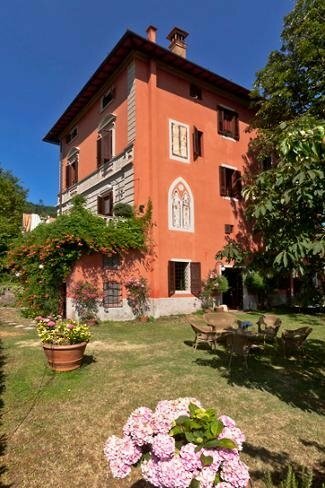 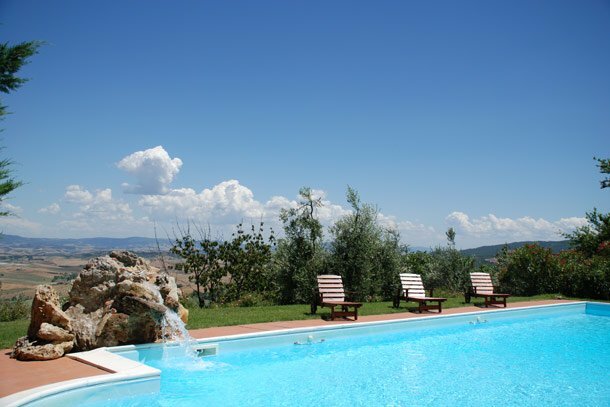 Elegant and charming Villa dated 1930s, set in the hills close to Volterra and San Gimignano. 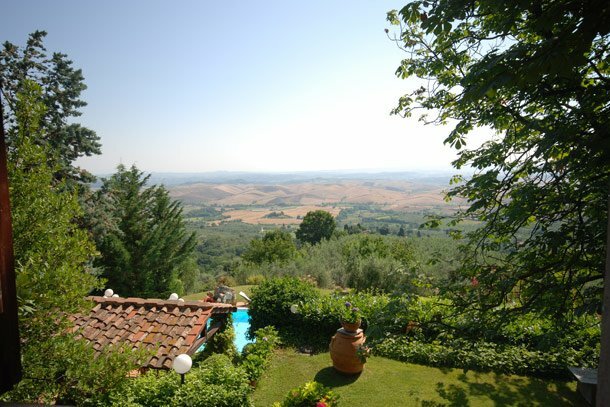 The panorama on this lovely valley and landscape is unique. 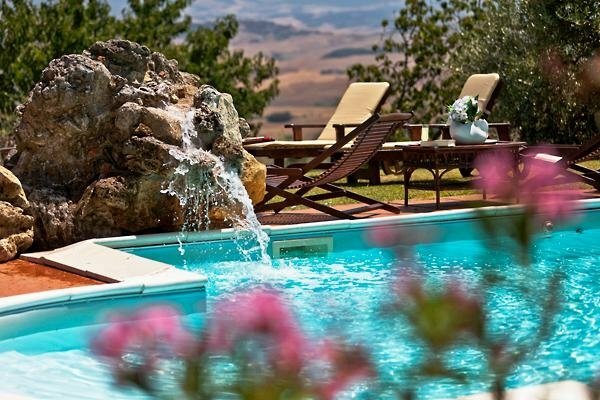 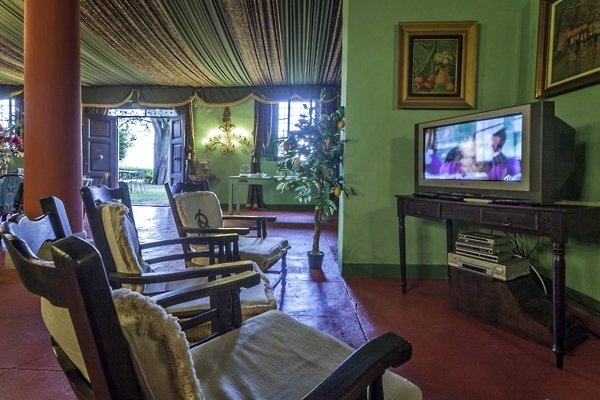 The house has private swimming pool and outdoor dining area where you can enjoy relax moments. 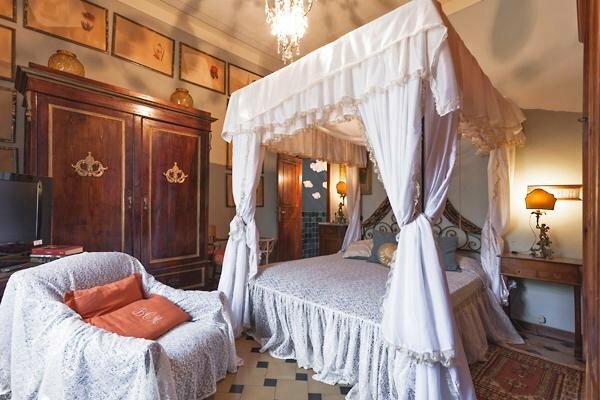 It can accomodate up to 14 people. 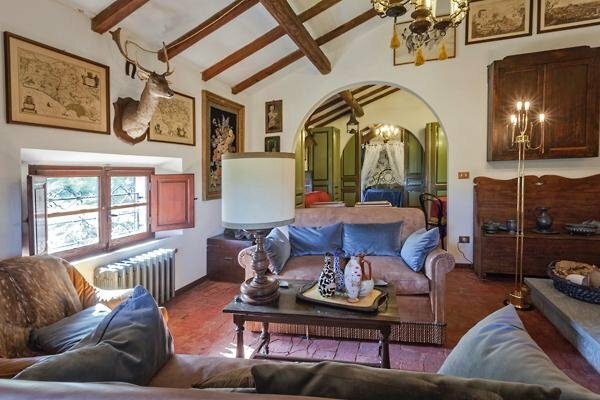 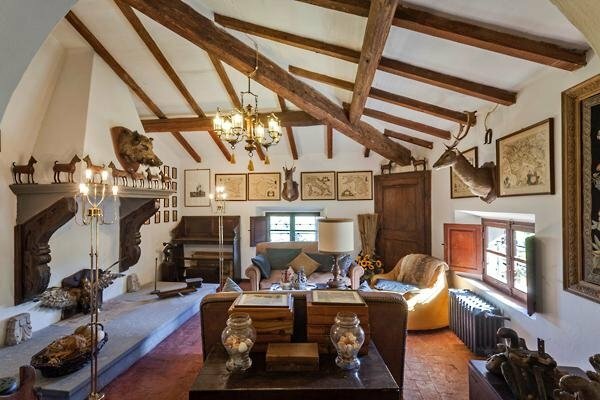 This lovely property is set in Chianni village, close to Volterra and San Gimignano, at the top of a small hill that dominates a unique valley.The house is built in liberty style (1930s) maintaining the original characteristics both in the interiors than in the otuside details. 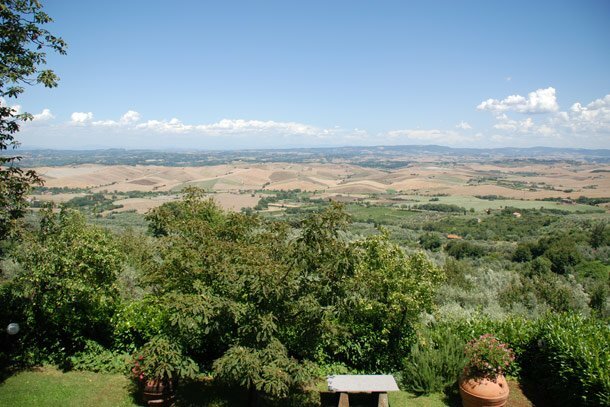 The area and surroundings are peaceful and fascinating. 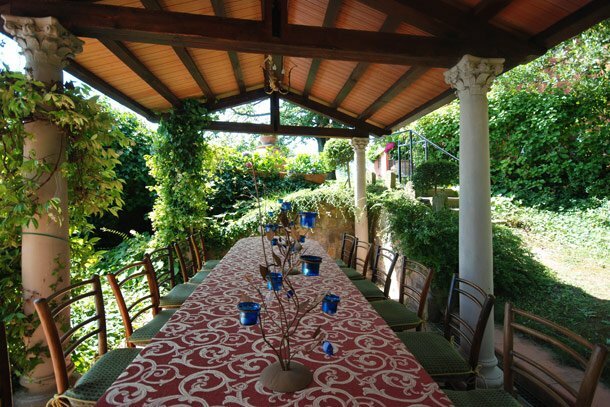 Outside the house has a large and well kept garden with a table for an outside dinner, the TV area, comfortable chairs and sofas, that leads to the kitchen. 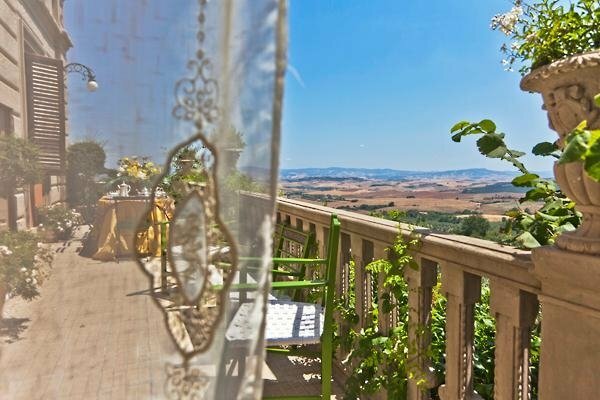 This place is very relaxing, you can enjoy the pleasant summer evenings drinking a glass of wine or making a barbecue and eat under the pergola while looking the great panorama on the landscape. 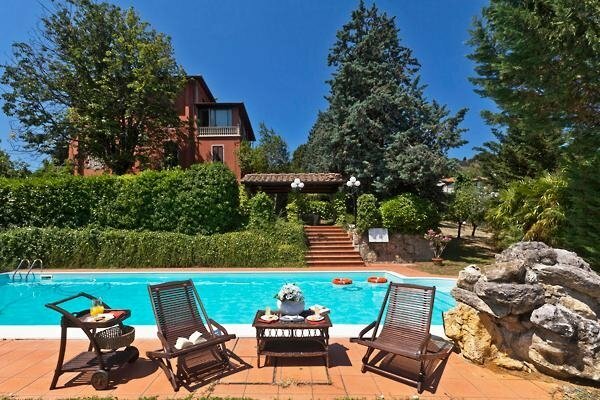 Swimming pool is next to the Villa equipped with sundecks and chairs. 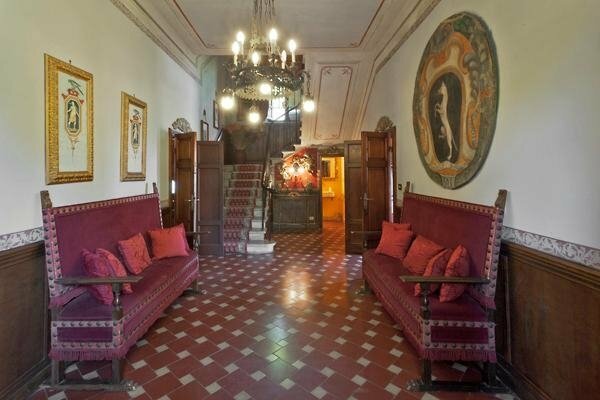 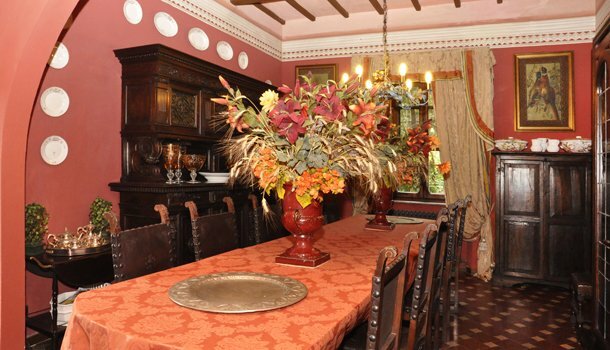 The interior has remained almost intact, with all the atmosphere and style of the 1930s. 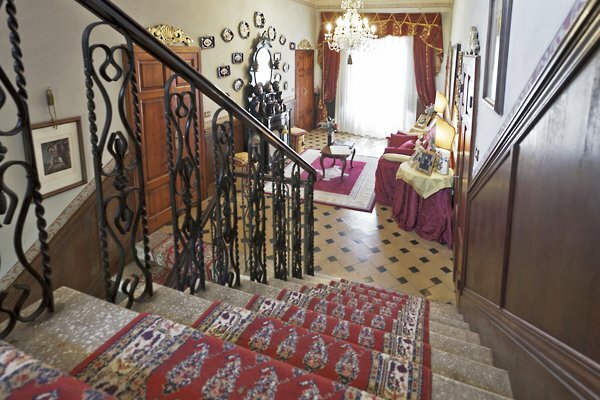 On the ground floor there are more than one living room, a dining room, a fully equipped kitchen, a bathroom. 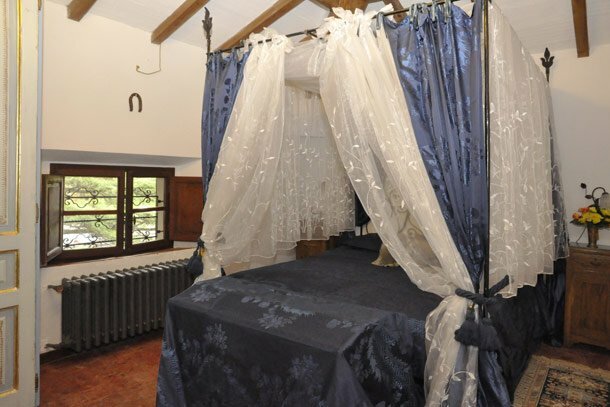 On the first floor there are 2 double bedrooms with ensuite bathroom, 1 twin bedroom, 1 bathroom with bath-tub, 1 double bedroom. 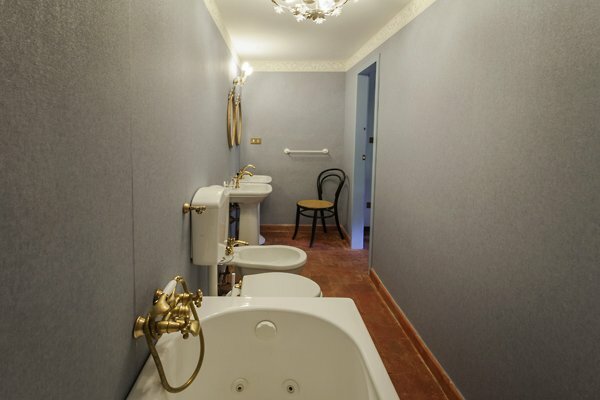 On the second floor there is another living room and a small kitchen, 2 double bedrooms with ensuite bathroom, 1 twin bedroom with ensuite bathroom with open shower with shower enclosure. 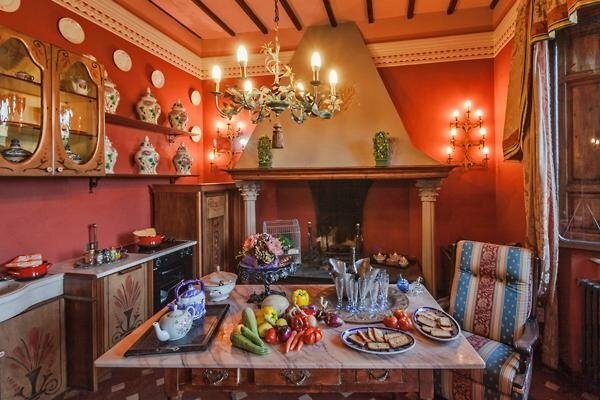 At the garden level there is a large room with dining table, living area and TV area, small corridors leading to 1 bathroom with open shower with shower enclosure, and kitchen (ovens, freezer, washing-machine and dishwasher, microwave) also with independent access to the garden. 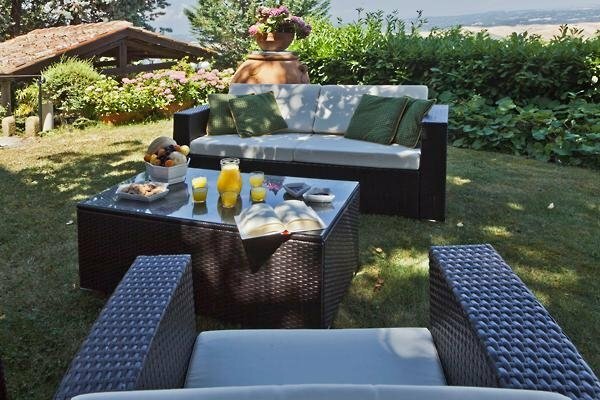 ThisVilla is ideal for those wishing to live a wonderful experience in this lovely places in a elegant and comfortable property. 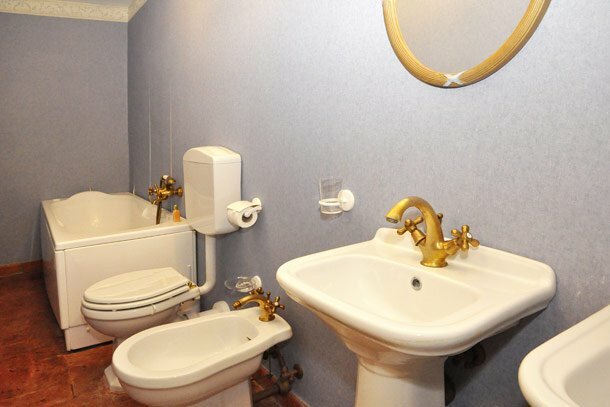 Wifi connection. 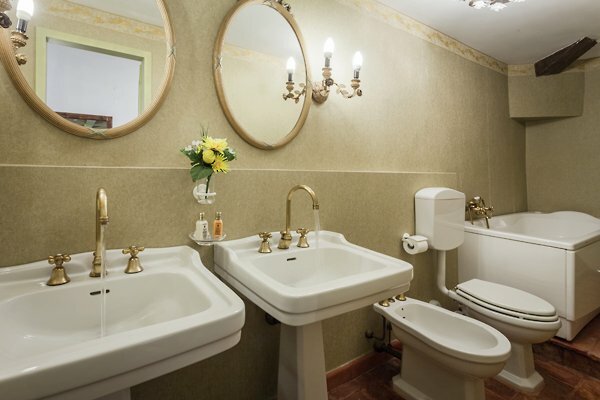 Included in price: electricity until 200kw per week, house linens for bedrooms and bathrooms, final cleaning, condo expenses, taxes, extra beds and baby cots. 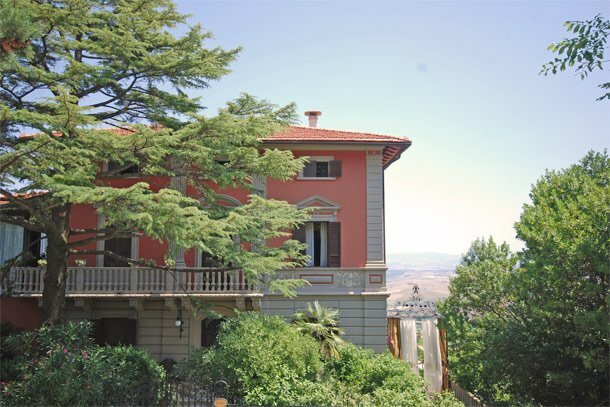 Excluded from price: electricity over 200kw per week, heating based on meter readings.